Danielle Walker's cookbooks have changed the way we think about gluten-free and dairy-free cooking by giving us accessible, delicious recipes that anyone can eat. Danielle Walker's Eat What You Love is her fourth cookbook and aims to recreate the comfort foods we crave but may no longer be able to eat in their original form. Grandma's chicken pot pie, a memorable chocolate chip cookie, it's all here. Walker does extensive testing and is a perfectionist in the kitchen--she told me that when she was trying to revamp her popular bread recipe for this cookbook she made 24 or 25 iterations. Walker said it probably would have been fine at version number six, but it just wasn't quite where she wanted it so she had to keep testing. And when it comes to comfort food, you've got to get it right. 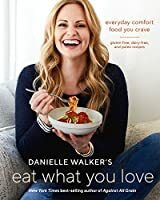 Walker was in Seattle recently, on tour for Danielle Walker's Eat What You Love, and I got a chance to chat with her about it. Below is a transcript from that conversation. Seira Wilson: What made you decide to do a comfort food cookbook? Danielle Walker: It's my fourth cookbook and there was still just this laundry list of recipes that I was getting a lot of requests for from my fans. And also I wanted to recreate those recipes that are nostalgic and that memories are tied to, because those things are lost a lot when you have dietary restrictions. You have a diagnosis or you have to go gluten-free or dairy-free and you feel like all of the recipes that you used to use are off-limits because you don't know how to substitute things or it's just too difficult to try to think about, and people kind of grieve that-- I did. You’re already dealing with a diagnosis and cutting out all of your favorite foods, and then you're losing memories and traditions because you can't make your grandma's chicken and dumplings or pot pie or whatever it is that you hold as a memory from childhood. So I wanted to be able to give that gift back to everybody that is in my community and then also to myself. I imagine it as taking all of those hand written recipe cards that your grandma passed down to you or whatever it is, and being able to just recreate those and have them still look and feel as much like the original as possible. That's kind of what the whole book’s about. SW: What's the dish that first comes to mind for you when you think about comfort food? Danielle Walker: Probably a chicken pot pie. I've been getting requests for chicken pot pie for years and years, and I've made them at home here and there, piecing together recipes, using the pie crust in my last book, Celebrations, but I never put a recipe out there for the public and I always get so many requests for it. So I would say that's one of them, and then donuts. They're so good. My family used to go get donuts on Sunday morning before church and my grandparents used to take my brother, sister, and I down to this mall near them that had a place called World's Fair Donuts and I just remember being a kid and getting to go to the counter and pick out whatever donut we wanted. My grandparents would sit there and drink their little cups of black coffee while we enjoyed our donuts. So that was something that I really wanted to recreate; I want my kids be able to experience donuts too, and revive a tradition in a bit of a different way. SW: You've been a big part of the gluten-free and dairy-free cooking evolution, what do you think is still the biggest challenge for people cooking at home with dietary restrictions ? DW: Probably the time. Our culture is just very different from when our grandmas and great grandmas used to cook everything from scratch. We’re so much busier--whether it's a dual working household or you’ve got your kids in five sports--and I think that cooking, unfortunately, has moved lower and lower on the totem pole for families. I think the concept of having those types of dietary restrictions and having to cook everything from scratch can be the biggest challenge or hurdle for people to get through in the beginning but then--and this is my goal and mission--once people get back into the kitchen and start cooking again, they find so much joy in it. I hear stories of kids and parents coming together, cooking together in the kitchen, and I think there's just such a relational thing that is happening around cooking and around the table as well. SW: I love the chapter on packing lunch! Did that come out of what you were already doing at home? DW: Yes. My oldest son is eight and it was a challenge for us at first when we started packing lunches. I started putting them on my Instagram and tagging them, and people were really interested. I think it's hard to think outside the box when you can't just take two pieces of white bread and put some peanut butter in between. Lunches are another one of those things that can be a hurdle for people so I wanted to include a whole chapter on it, and this chapter specifically is also mostly nut-free. It was a fun chapter for me to do and it's all the stuff that we make and keep on hand at home. I was hearing from a combination of families and young professionals or college students so we tried to make the lunches kid-friendly but they're also adult-friendly with things like meatballs with marinara. A lunch that can feel substantial but is still exciting to pack and take to your desk if you have to, so that you're not forced to go out or eat something that you shouldn’t. SW: In the introduction to Desserts, you call it your favorite chapter in the book--what makes that true for you? DW: I have a serious sweet tooth and I find that desserts and baked goods are one of the hardest things for people that have restrictions and dietary intolerance. With a protein or veggie dish from a favorite old cookbook you might have to substitute 1 or 2 things out, but in baking you can't take a cup of all-purpose flour and substitute for coconut flour. It just doesn't work. The home cook can't substitute out for their favorite recipes. So I find that my dessert recipes are the most popular and I love re-creating desserts and sweets and baked goods and treats. It’s one of my favorite passions. 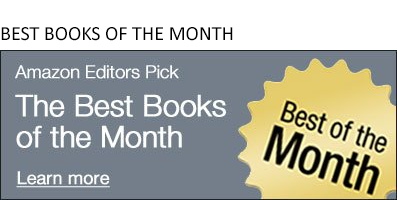 Danielle Walker is an author and blogger who really listens to her fans. They asked for holiday recipes: she wrote Celebrations. They asked for comfort food: we now have Eat What You Love. As in the past, it's when Walker is on a book tour that she often finds the direction for her next cookbook, based on audience feedback. I can't help but wonder what will come out of this book tour and can't wait to see what she comes up with next.